My first painting of 2014. This work was done on a panel with two thick coats of acrylic modeling paste applied with a pallet knife. I used a 3″ short nap roller to lay in the sky, water and basic tree shapes. 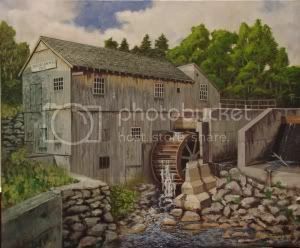 The painting was completed using no brushes, only a pallet knife and tooth pick. I like the rough surface texture and will experiment with this process over the next group of paintings. Grape Islands,Lake Massabesic, NH. 2014. 20 X16 inches. 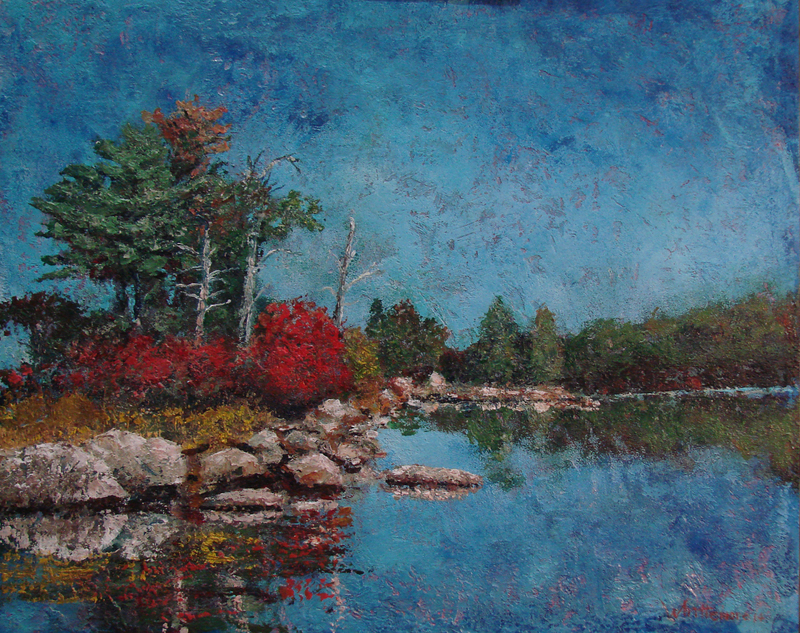 This entry was posted in Paintings and tagged Grape Islands, Lake Massabesic, Painting. Bookmark the permalink.